An earlier iteration of this newsletter was posted by mistake — the only differences were in the headers, which were converted to more of a “call to action” on each line before the newsletter was sent. I’ve also corrected the title of the post, but not the URL, since I don’t want to break the links that subscribers received by email. Welcome to another meetup organizer newsletter full of news, information and inspiration for your local meetup. You’ve organized some great meetups and your local community is happy, active, and looking for a new project. 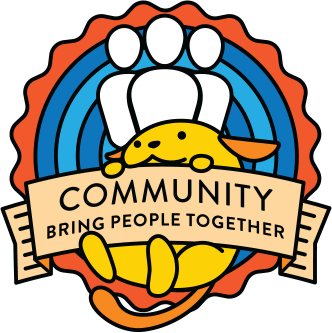 Have you considered organizing a WordCamp? While some WordCamps attract hundreds of attendees, they all started off as smaller events created by enthusiastic fans of WordPress. We encourage all new WordCamp organizers to start small: if your group is meeting regularly, and you think that at least 50 people in your group would be willing to attend an all-day event about WordPress, consider organizing a WordCamp!! WordCamps are a fun way to build your local WordPress community. It’s also a great opportunity to learn about how people in your community use WordPress! You can read lots more about being a WordCamp Organizer in the organizer handook: https://make.wordpress.org/community/handbook/wordcamp-organizer/welcome/. Every single community that has organized this workshop — all over the world! — has experienced a significant increase in the number of speakers who identify as women at their events. From time to time we will feature interesting and notable meetup event ideas, formats and topics in this newsletter — you can use these ideas to bring some fresh inspiration for events in your community. For this edition, we are highlighting the Perth meetup group, who combined their WP15 celebration with a dedicated Help Desk. While all attendees celebrated the WordPress anniversary, they were also able to give or get assistance with websites! The Perth group found that this format also enabled people who prefer not to speak in front of a whole room to contribute comfortably. Sometimes called Happiness Bars, Help Desks are great resources for all WordPress users at WordCamps as well, and they naturally make for engaging meetup events! You can see an example of this type of event format here: https://www.meetup.com/WordPress-Perth/events/249901706/. Please let us know by emailing support@wordcamp.org if you have examples for an interesting meetup event format ideas that you have seen or organized! You may have heard about the new way to WordPress at a meetup event or WordCamp. The Gutenberg project is an entirely new way to create, edit, and customize content in WordPress — and it’s coming very soon!. Check out the latest update from Tammie Lister regarding Gutenberg’s progress and current timeline. Additionally, check out these great talks on WordPress.tv! Kevin Killingsworth shares what you need to know about Gutenberg, its future, and how you can get involved right away. Josh Pollock dives into the basics of Gutenberg blocks, the foundational elements that enhance the Gutenberg user experience. Matías Ventura discusses the principles behind Gutenberg as well as the technical elements of the project. Tammie Lister explores design patterns in Gutenberg blocks and shares how to utilize and design blocks. Want to try Gutenberg yourself? Test it out, or install it on your own site. Afterwards, please provide your feedback to help Gutenberg (and WordPress) get better! From April through June, 51 meetup groups joined the chapter program, with 8,940 new members joining groups around the world. The meetup program reached 619 groups around the world. We now have WordPress meetup groups in 92 countries, all over the world! From April through June, 37 WordCamps were held, and 41 WordCamps were approved for planning. Eleven of those WordCamps in-planning are the first in their city! They’re in Cáceres, Spain; Islamabad, Pakistan; Lille, France; Nordic; Mombasa, Kenya; Rockford, IL, USA; Pokhara, Nepal; Thessaloniki, Greece; Cali, Colombia; Biratnagar, Nepal; Bulawayo, Zimbabwe. That’s it for now — until next time!